Write random facts about yourself. Answer the 11 question given by the person nominated you. Nominate 11 bloggers who have less than 200 followers and mention them in your post. Tell the person who nominated you, along with the people whom you have nominated. Daughter. Lives in USA,Minnesota with my caring,loving husband and kids.I am very positive person.I love shopping, cooking, of course blogging.I’m god believer and very good listener. I got four set of question so I selected Question randomly from all of them. I'm trying to learn photography. 2.What is your favorite recipe in your blog? 4.What is your favorite cuisine? Indian, i like spicy dises.i like Italian and Mexican too. 5. If you were allowed to change something about yourself, what would that be? i don't want to change anything. i just go with flow. 6. According to you which is most important in a blog, picture, presentation, or recipe? cooking is love for family and friends. 8. Do you watch TV show? If so, which is your favorite? 9. What four words would you use describe yourself? Happy, reliable,friendly and self consious . 10.How do you spend your free time? personally i don't like much sweet. Are you quite or active person? What is your idea for perfect breakfast? What would you do keep your family happy? what is your perspective of your life? keep cooking and Happy blogging!!! Congrats,Bhawna!! Got to know a lot more about you! Congrats, Bhawna !! Thank you very much for sharing with me. congrats.. thank you for accepting award!!! Loved the humble random facts about you!! Also, I like Bang Bang theory too! Great fan!! Sheldon Cooper is my favorite. Thanks a lot for nominating me, It means a lot to me!! Great to know you better and thanks a lot for nominating me ! 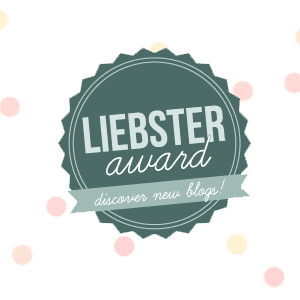 I was awarded the Liebster Award and I have chosen you as one of the nominees. Please do visit http://fullscoops.blogspot.in/2014/01/liebster-award.html for details. I see you have received this many times, if you don't want to do this again, please let me know and I will choose someone else! Glad to have come across your space. Following you!